(Almost) Organic Wednesday Liz Earle + Giveaway! Giveaway is now closed, thank you lovelies! When I’m asked about handcream, I very rarely have to stop and think, I simply say “Liz Earle Hand Repair”, because I truly believe it’s one of the best handcreams I’ve ever tried. It smells divine, sinks in easily, doesn’t leave a greasy residue (it leaves them matte, the first handcream I ever tried that did that! ), and it leaves your hands soft and moisturised for hours on end. I may flirt with other creams whose scent I admire, but it’s safe to say that in the handcream race Liz Earle has won my gold medal. 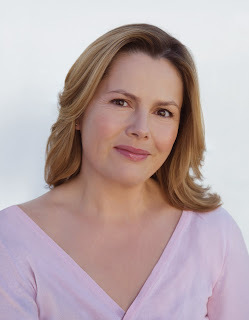 I’m a big fan of the Liz Earle brand, and have been ever since it debuted on QVC back in the mid-90s. In fact, I think my second ever purchase from QVC was a Liz Earle tester set, and I’ve liked the brand ever since! Their commitment to natural ingredients (though they don’t claim to be certified organic), alongside a female-friendly profile – Liz is a wonderful spokesperson for the brand – and a desire to keep luxury affordable, are things I always admire. 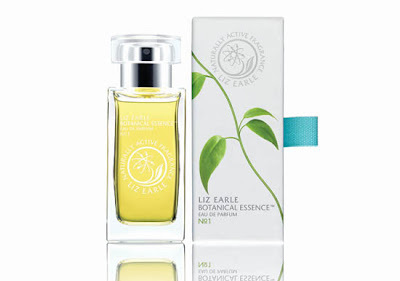 OR, if you’re not suffering from dry skin at the moment, don’t worry, Liz Earle is offering a bottle of her brand new fragrance instead: Botanical Essence No.1 which is 98% natural, and contains (amongst other things) lavender, patchouli, rose and bergamot which sounds perfectly divine! Now, because I’m hosting this giveaway, and because I’m a helpless over-sharer, I’ll be adding a couple of prizes too, plus I will personally be providing the second prize. I’m off to IMATS the weekend of 30th/31st January, and I’ll pick up some mystery gifts for the lucky winners while I’m there. They’ll have to remain a mystery for now, as, well … I haven’t bought them yet! Companies exhibiting at IMATS include Ilamasqua, OCC, Crown Brush … who knows what’ll be in the bags? To enter, all you have to do is be a follower of the blog – click the link on the right there, if you haven’t already! – and add a comment to this post telling me what your particular skin-care concern is (doesn’t have to be dry skin, it could be something like open pores, or dark circles for example), please leave me a valid email address and say whether you’d prefer the skincare or the fragrance. If you’re not a follower of the blog, don’t worry, I’ll be holding a giveaway which is open to all entrants in the near future. This giveaway is open internationally, and will the draw will be held on Sunday 7th February. We’ll do our best to ensure you get your goodies in time for Valentines Day!